The use of Hypnosis has been around for centuries. It is a natural state similar to daydreaming. In Hypnosis you are extremely relaxed, calm and have a heightened sense of awareness and concentration. It is a time when you sink into your subconscious instead of using your conscious mind. - Stores all your memories, emotions and patterns of behavior. - Is an untapped resource of confidence, creativity, natural intelligence and imagination. 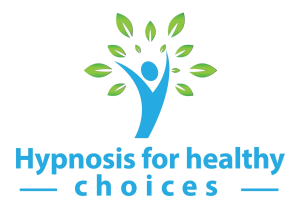 Self Hypnosis is a safe and gentle way of accessing the subconscious to bring about positive change to your way of thinking, to your behavior and to your body. What if.... you had a set of skills and abilities to feel confident in practically any situation? What if.... you knew how to relax and feel calm, no matter what is going on around you? What if.... every time you came across a problem, you knew you could influence the outcome? What if.... you knew you could free yourself from fears? What if.... you knew you could reduce or eliminate pain? What if ..... you knew how to speak to yourself so that you fulfill your true potential? Hypnotherapy is using the natural state of hypnosis for a specific end. When you relax, your mind can function much more efficiently and effectively. With the help of the hypnotherapist, you are able to look at problems differently and discover solutions that had been missed before. It enables real life change taking you from where you are, to where you would love to be.